The Berbers are a people ethnically indigenous to North Africa west of the Nile Valley. The Berber’s rich cultural history dates back to prehistoric times, over 4000 years ago! Their long recorded influence affected commerce by establishing trading routes between the West African and the Sub-Saharan region where they transported goods from beyond the Sahara desert to the Northern Moroccan cities. Indeed, the Berber identity is usually wider than language, craft and ethnicity; it encompasses the entire history and geography of North Africa and Morocco. In every season the Imlil valley has its own particular beauty: from the milky-white blossoms of spring, to the firey reds and auburns of the autumn leaves, and from the snow-capped winter peaks to tranquil, green summer hollows. Discover a more traditional way of life as you hike amongst the mud-built Berber villages scattered on these hillsides and relax in peaceful surroundings. 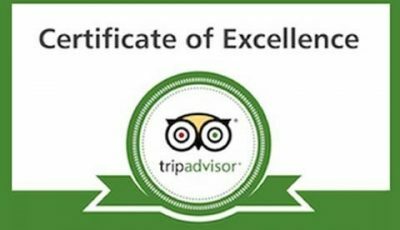 Ideal as a base for exploring the region on foot, or as a start or finish point of a linear hike, guest houses such as Dar adrar have for many years been firm favourites with our guests. Escape the heat of Marrakech and drive into the Atlas Mountains. 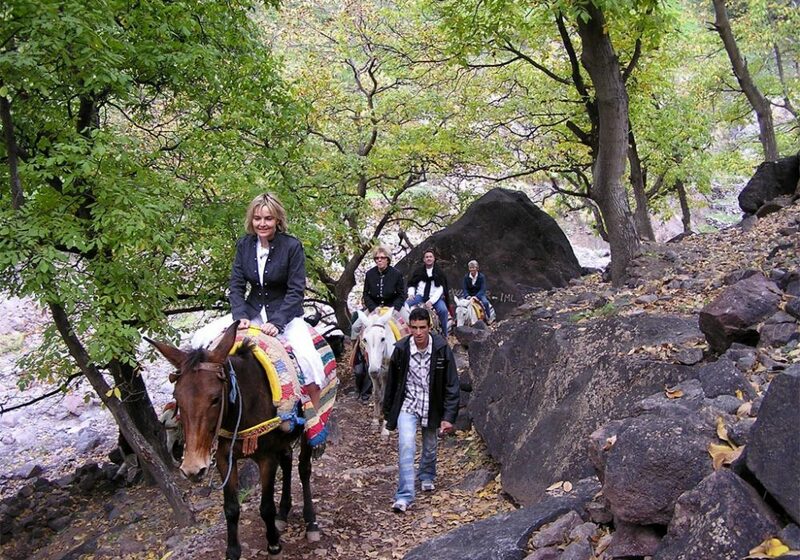 Ride a mule ( Option) and pass berber villages and enjoy the stunning views of the countryside. Enjoy a traditional lunch in a Berber house and take a short walk with your driver before driving back to Marrakech. Departure from Marrakech early morning arround 08:30, towards the high Atlas Mountains via Tahnaouet (localmarket on Tuesdays), Asni (market on Saturdays) then between terraced fields of vegetables, fruit trees walnuts & cherries arrival to imlil 1740m, welcoming by a local guide with glass of mint tea, walking through berber villages, between fields of fruit trees walnut, cherries, apples, vegetables, then passing by a waterfall before climbing to achaoyn where we will stop for lunch .visiting the village one of the oldest in massif, then going back down by the western way overlooking the Ait Mizane valley ancient irrigated terraced fields, passing by Fimlil villages before the centre, end of trek & heading back to Marrakech. there is a chance to ride a mule if you have kids or you just like to experience, this could be before or after lunch. Prices quoted are per person, based on sharing a Car. How long is the drive from Marrakech ? is it possible to do a horse ride somwhere before imlil ? 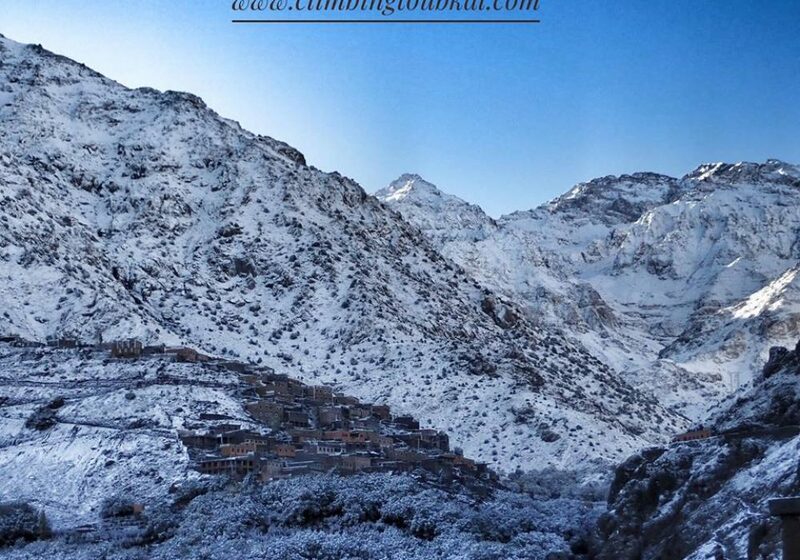 Generally tourists come across the name of the small village of Imlil when they are hikers and plan to climb Jebel Toubkal (4160 m) – Morocco’s and the North Africa’s highest mountain. But, you don’t have to be crazy fit and determined to walk for miles in order to have fun in Imlil! Will will be challenged by inclement weather in October in the Atlas Mts? Do we have a high probability of summiting Mt.Toubkal? Any other issues we should be aware of at this time of year? Thanks!